When Will A Court Impute Income in a Florida Child Support Case? 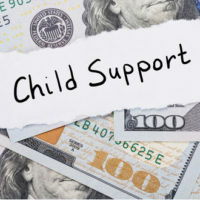 When determining a parent’s child support obligation, Florida family courts will look at that parent’s income as a primary factor in setting the final amount. In a situation where a parent is voluntarily unemployed or underemployed. Florida law provides that a court may “impute” a higher income to a parent. This means if a court believes a parent is not working to their full potential or is voluntarily attempting to avoid paying child support, they may order child support based on a higher income than what the parent is actually making at the time. It can help for parents to consider a few hypothetical scenarios based on actual cases adjudicated by Florida courts to better understand the circumstances under which a court will impute income. A court likely will not impute income where a parent temporarily takes a reduction in income in order to take classes to attain additional certification or training to earn a higher salary in the future. Examples of this include where a teacher takes time off to take additional classes to teach higher-level classes or where a nurse reduces their hours in the hospital to take additional certification. In Arce v. Arce, the court found it was inappropriate to impute income where the husband, an emergency room physician, took a pay cut to return to school and become a board-certified cardiologist. The court found a cardiologist had higher earning potential with longer term financial security. A court will be hesitant to impute income to a parent where the parent has been making concerted efforts so seek comparable employment. In Ensley v. Ensley, the Florida court found imputing income was inappropriate where evidence was presented that the husband made a good faith effort to try to find comparable employment but was unable to do so. Another situation where a court may impute income to a parent is where that parent is receiving recurring gifts. In Steele v. Love, the court considered the child support obligation where the father was unemployed and beginning his own business. The father was not receiving any income from the business, but evidence established the husband received $3,000.00 a month on a regular basis from his parents. The court distinguished that ordinarily, gifts received by a party’s parents are irrelevant. However, where a parent is making regular payments, these payments should be considered. If you believe your spouse is voluntarily underemployed or are worried a court may impute income for your purposes of determining child support, you should contact the experienced Winter Park child support attorneys at Cotter & Zelman, P.A. to take you through the factors for and against you in your particular case. 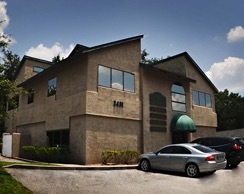 Our attorneys can help you gather information and build the strongest argument for your case. Contact us today.